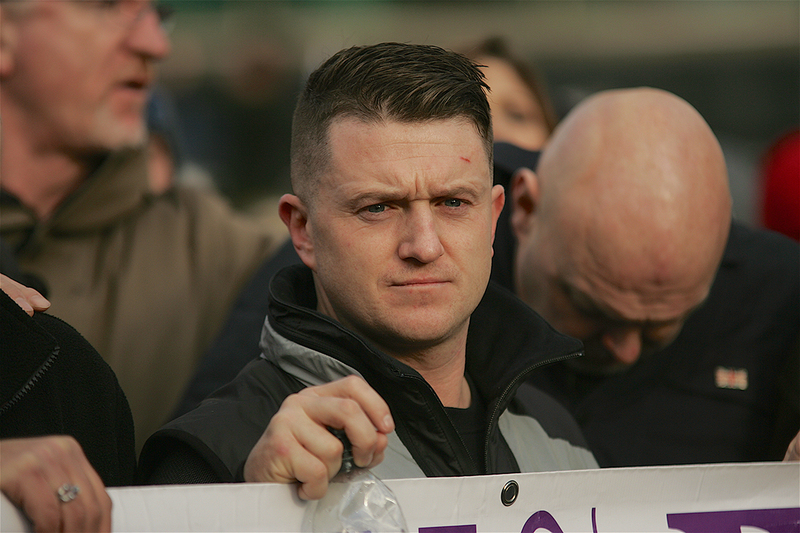 Tommy Robinson's Panodrama: Exposing the truth or fake news? 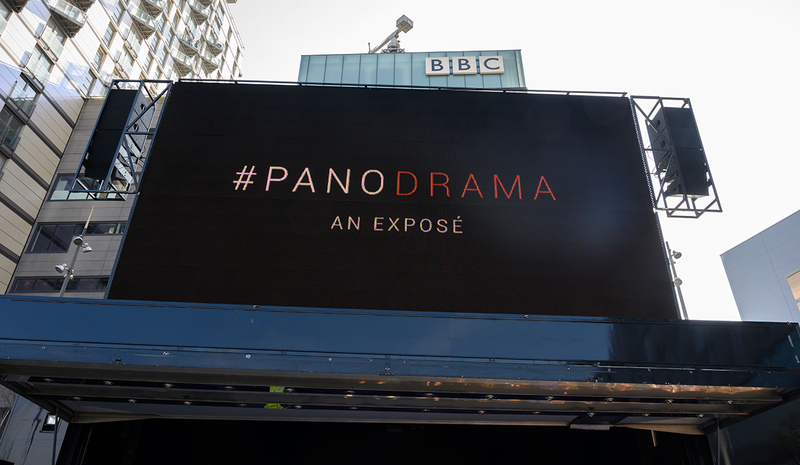 Tommy Robinson released his Panodrama documentary outside the BBC HQ in Manchester. Credit: Shutterstock. Tommy Robinson has caused quite the stir since he released his documentary called Panodrama last week. Robinson, the ‘right-wing extremist’, ‘free speech activist’, ‘racist’ and ‘man of the people’ filmed his version of Panorama, an investigative journalism programme produced by the BBC, and released it on YouTube, the one social media platform he hasn’t been banned from. I gave it a watch, in case you didn’t catch it, and this review will either save you from wasting an hour of your life or encourage you to find it on Youtube, depending on your political perspective. Robinson begins his documentary outside the BBC headquarters in Manchester in front of thousands of supporters. He uses this scene to explain the premise of the film and says he will ‘expose’ the BBC with damning evidence which will show it’s bias towards himself and conservative speakers in general. The documentary focuses on three major talking points; an interview with a former banker who was sacked for making comments on social media, a meeting between Panorama journalist John Sweeney and Robinson’s former employee, Lucy Brown and a showdown between Robinson and Sweeney. The first interview is with George Dupree, a former Standard Charter banker, who claims that he was fired after comments he made regarding immigration control and Muslim extremists. He believes the group Hope Not Hate, a political organisation that aims to remove fascism from society, influenced the bank’s decision. Lucy Brown is introduced next. She worked with Robinson at Rebel media, an American conservative media group. Brown explains that she was contacted by John Sweeney for an interview in order to ‘spill the beans’ on Robinson. The next scene sees a drunken Brown return to Robinson after her meeting with Sweeney. She has recorded the entire evening. Robinson watches and focuses his attention on the drinks being consumed, their subsequent expense to the taxpayer and some of the controversial comments made by Sweeney. And now for the big finish. During a meeting with Brown, Robinson comes up with a plan. He sends Brown a fake text, threatening her if she speaks to Sweeney. This is key because what happened next significantly swung the balance of power in Robinson’s favour. A meeting between Robinson and Sweeney is set up for the BBC’s Panorama programme. We witness the full interaction from the hellos to Robinson leaving, nothing is edited out. During the meeting, Robinson confronts Sweeney with the video footage and asks Sweeney whether he believes in the controversial comments he made and the allegations of ‘sexual things’ he attempted to get Brown to talk about. Sweeney stumbles through the conversation, although Robinson doesn’t give him a lot of room to comment. Finally, Robinson stops talking and asks Sweeney to explain himself. This is the point Sweeney reaches into his jacket pocket and thrusts a paper copy of the threatening text in Robinson’s face. He believes it is a ‘gotcha’ moment but moments later, it is revealed to him that it was a fake used to expose the BBC’s bias. An argument ensues and Robinson claims that they are trying to ruin him, that the programme could destroy his life and end his marriage. Bit dramatic but justified. Robinson has no idea what they are going to say and believes the BBC will show no consideration in their portrayal. For the final scene, Robinson explains how to declare that you do not need a TV licence and argues that because of what he has just shown, people should elect to boycott the scheme. 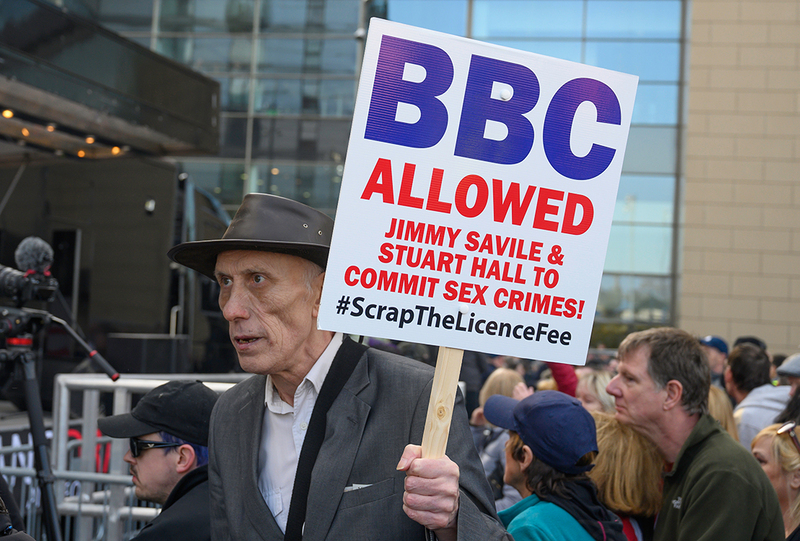 A strange request but one that could bring down the BBC by cutting their funding and, therefore, their influence on the public. Whatever you think of Robinson, the documentary was a good example of investigative journalism. Interviews, comments and undercover work made the documentary very informative. The lack of editorial cuts and a constant flow of new information does give an impression of honesty. I enjoyed the documentary. It made me think and question my own perspectives regarding political ideologies and organisations that have an incredible amount of power. By the end, it felt like the BBC was a mob gang intent on destroying its opponents through any means necessary. Sweeney producing that text will forever be one of the most significant moments in journalism, proving that the BBC does not verify sources and is happy to make claims without substantial evidence. Of course, Robinson wanted it filmed that way for his narrative. Something he accuses the BBC of doing. Robinson got there first and derailed the BBC’s plans of releasing their own documentary, an episode of Panorama with a working title ‘Tommy Takedown’. In the aftermath, Robinson has been removed from Facebook and Instagram and is relying on his website and YouTube to release information. I understand the company’s motives, they don’t wish to get caught in the middle and be accused of being racists or bigots. However, in order to have a free society, we need access to these types of opinions so we can decide for ourselves. Whether the BBC is bias or the Sweeney comments were a one off, made by a drunken fool who said far too much, is up for debate. The documentary has two strong pieces of evidence, the text and the video footage of Brown and Sweeney. I would have liked to have seen the BBC’s version in order to bring balance to my perspective, but it seems that episode will never see the light of day. By reading this, I hope that you are encouraged to see the full stories of the few I mentioned. There is far more information and revelations within the documentary that I could not go into detail here. If you are of the impression that Robinson is nothing more than a racist bigot, ask yourself this question: What evidence do I have to confirm my perspective? Then send it to me because I’ve had a tough time finding anything!